Whether you are renting or living in your own home, gardening is always one of the things that you must try. Should you find yourself with loads of space in your front or backyard, then maybe it is time to do some gardening of your own. Of course, gardening is not the only thing you can do with some spare space in your yard. You can decorate, or extend your home. However, we have already discussed that in a previous article which you can find here. It can help make your front lawn even more beautiful. It gives you control over the healthy greens you eat. Growing your own food gives you complete control over the chemicals and products used during the growing process. Having your own garden gives you easy access to fresh produce. Need some herbs and spices? Pick it up from your own garden! It’ll save you some time and money. Think of the environmental impact a home garden can bring. For decades, global warming has been a part of the biggest debate in history. And regardless on where you stand in the topic, having your own garden can surely help create a positive impact in the environment. 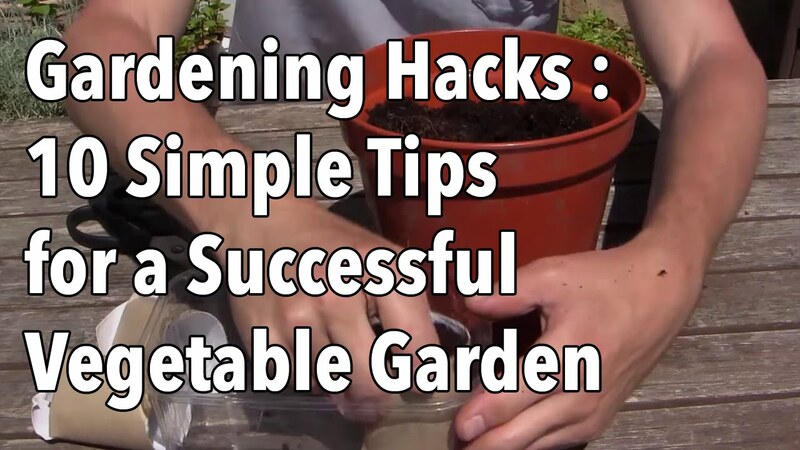 With that said, here are some successful gardening hacks that can help you. This video is from GrowVeg over at Youtube. Don’t forget to let us know your thoughts and comments down below!